Our extensive range of options allows the trailer to match your operations perfectly, if not tell us what you need, we can sort it. 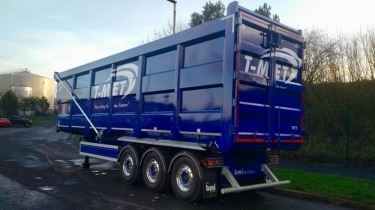 A new product range of bespoke tipper trailers for the specialist markets Aggregates, quarrying and construction designed ½ pipe tippers in Alloy and Hardox steel options. Scrap metal recycling users will benefit from the HardBox design for reduced tare weight, increased payload, better aesthetics and longevity. Our extensive range of options allows the trailer to match your operations perfectly, if not tell us what you need, we can sort it. At bmi we build bespoke trailers with specifications that suit your needs. These HardBox Scrap Tippers are manufactured with the highest grade steel which provides high durability and maximum wear-resistance. 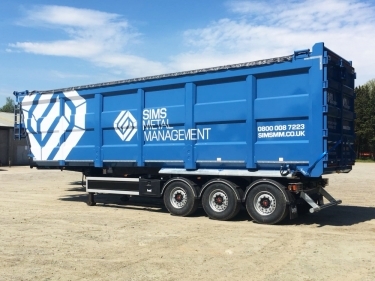 Ideal for anyone in the scrap metal industry, these tippers have been built to demonstrate resilience and withstand the toughest working environments. Fitted with fully pressed 5083 grade Alloy tapered to improve centre of gravity, the bmi Half Pipe Alloy Tipper combines efficiency with stability. The design of the Half Pipe’s body ensures an off-load performance which is fast and clean. 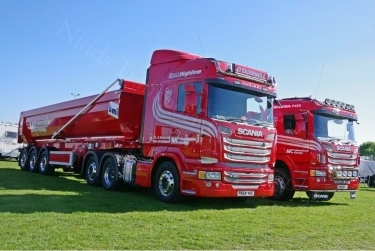 All trailers come with a choice of different cover options and can be painted with your company colours and artwork. Also available in steel, the bmi Half Pipe Hardox Tipper is suitable for moving all bulk materials. The Hardox 450 grade body has proven high-dent resistance when it comes to abrasive applications, making it the ideal trailer for carrying different types of construction materials.